When Dr Dre penned his 1999 classic ‘The Next Episode’, he couldn’t possibly have known that his lines predicted the rabid consumerism and constant appetite for content made Netflix a cultural phenomenon. The track helped represent West Coast Hip-Hop on the mainstream charts just as we ticked over into the new millennium. Fitting then that Next Episode represents a new era for owner Steve Pelecas, a barber by trade, who has opened the bar to merge his two passions: fresh jams and fresher cuts. Let’s start with first impressions. Just locating Next Episode is a bit of a mission, not in an insufficient signage kind of way; more like a prohibition-era speakeasy kind of way. Located somewhere along Fish Lane, the point of entry is actually through a single-chair barbershop. 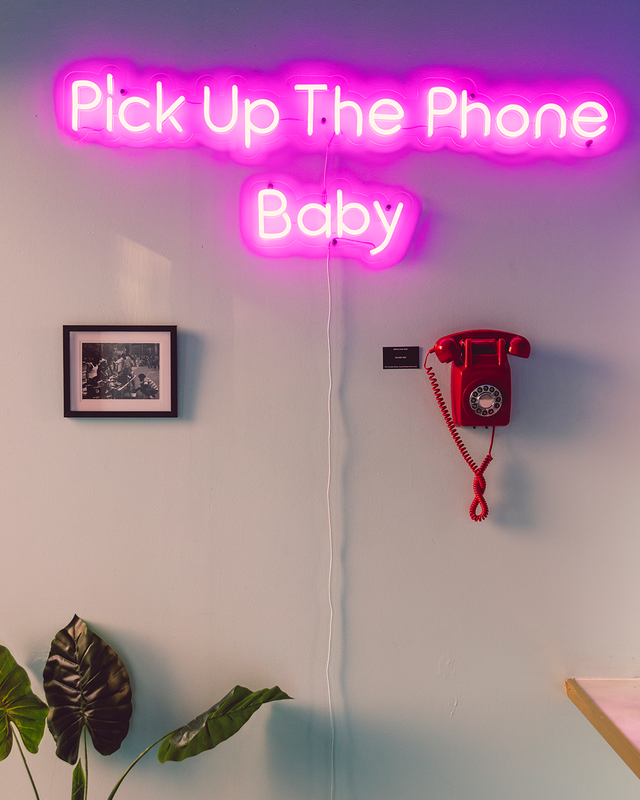 To reveal the bar’s threshold, guests must punch in that day’s code to a phone (code available on Next Episode’s social). Already the experience is peppered with a conspiratorial sneakiness, and you’ve barely arrived. How’s that for building vibe? 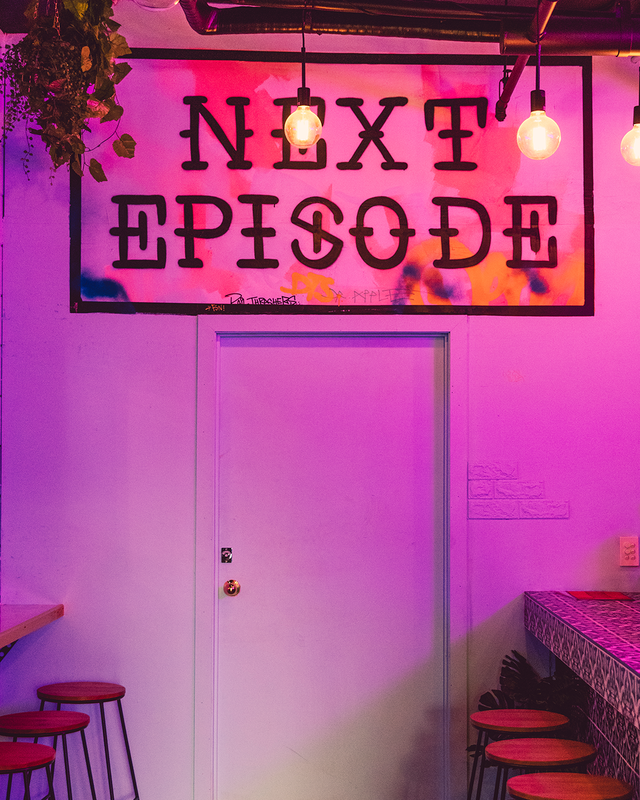 Inside, Next Episode is a cosy 35-seater with a scorched, industrial decor brightened by murals of rap giants and a pink neon sign behind the bar that indicates you’ve come to the right place for ‘Dranks’. Speaking of tipples, the drinks list includes punny cocktails like the ‘Hendrick’s Lamar’ as well as a rotating selection of craft beers on tap. And, of course, the whole joint thumps with the best of 90s hip hop jams. The frontage operates as a bona fide barbershop until 5.30pm, Tuesday through Saturday, and then the bar takes over serving aural and oral refreshment until midnight, Wednesday through Saturday.